The first time I found out about pole dancing for fitness was on the Oprah show in 2008. I then found a small studio, took classes and 6 months later became certified by Susan Hilfery in Miami Florida. I also took classes with Jenyne Butterfuly and Felix Cane. I then became one of her instructors. Pole dancing came easier to me because I was a ballerina for Miami City Ballet for over 8 years. I loved how pole dancing made me feel and how toned my body was becoming. I became so fascinated by the art of pole dancing that I decided to open my own studio in Miami Florida. 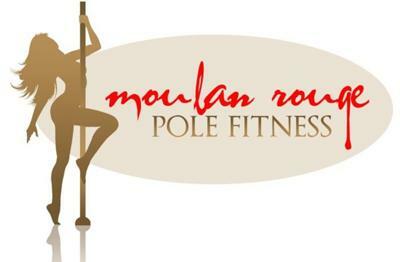 Moulan Rouge Pole Fitness is the only studio in the Miami area that offers burlesque, which makes us unique. Pole dancing is a difficult sport and requires a lot of strength, flexibility and sensuality. Not all my students have a dancer's background, which is why I offer a variety of dance classes to help them achieve their goals in pole dancing. We offer yoga to help with the flexibility pole dancing demands. We alsooffer burlesque, belly dancing, and strip tease to help with the sensuality aspect, and bikini body workout to help with the strength. We encourage our students to continue taking classes so that one day they can became one of our instructors. All of our instructors were students of mine. I started coming here about a month ago and now I am totally in love with Belle burlesque classes. I'm driving or walking down the street and I would start to do a step or trick. The teachers are so nice and are willing to help you on making sure that you get your tricks right before going to the next trick. Love it and thank goodness I found you! !